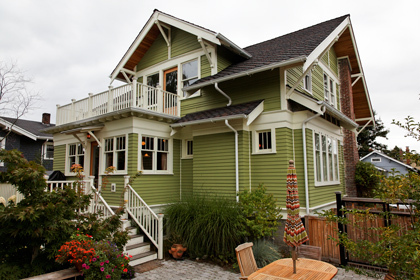 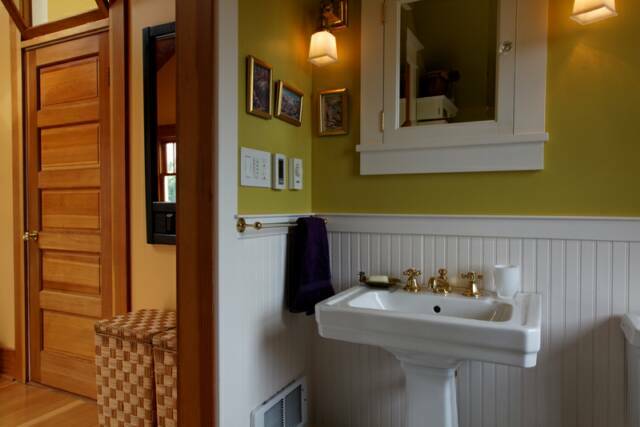 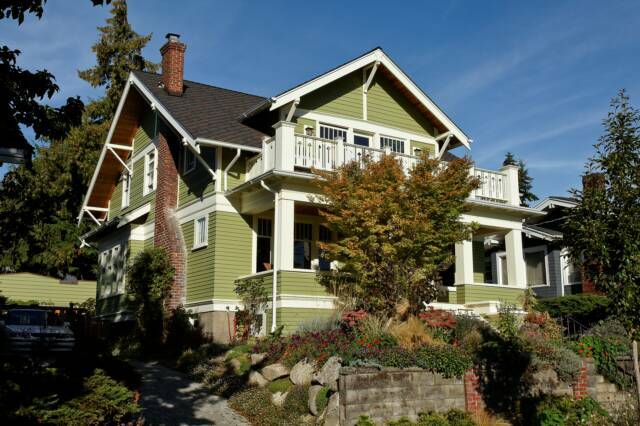 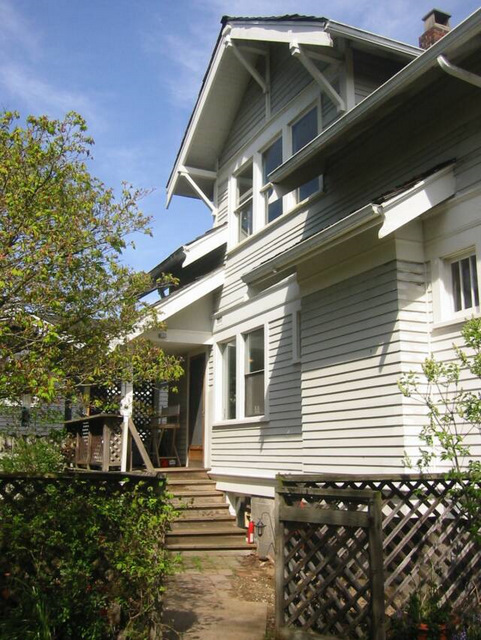 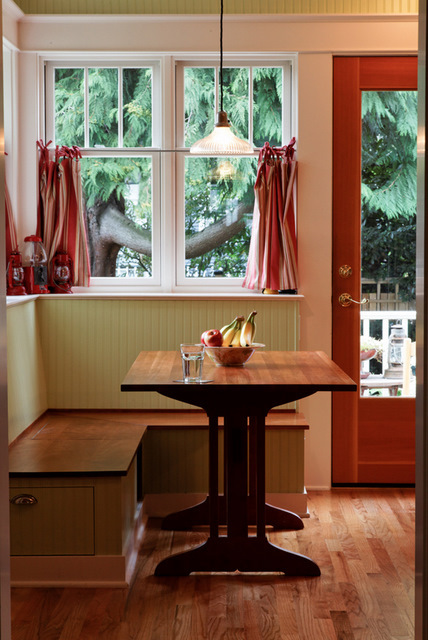 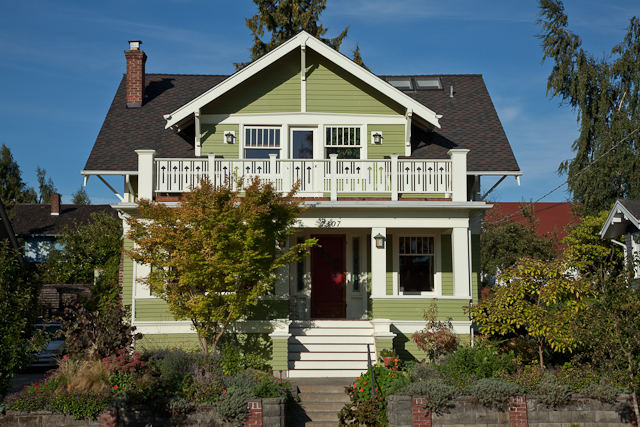 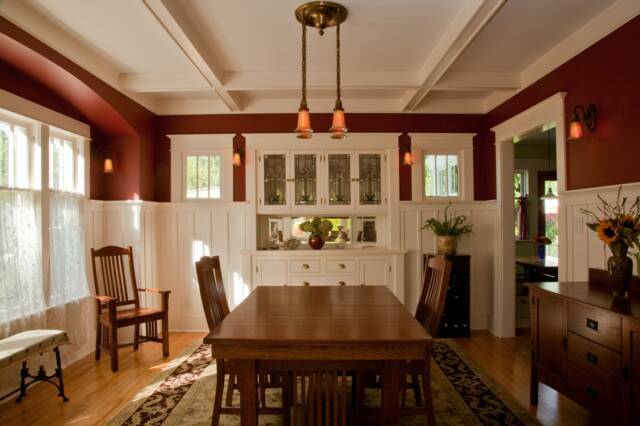 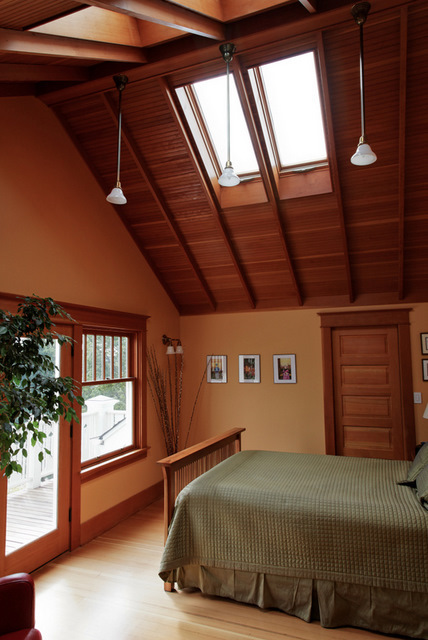 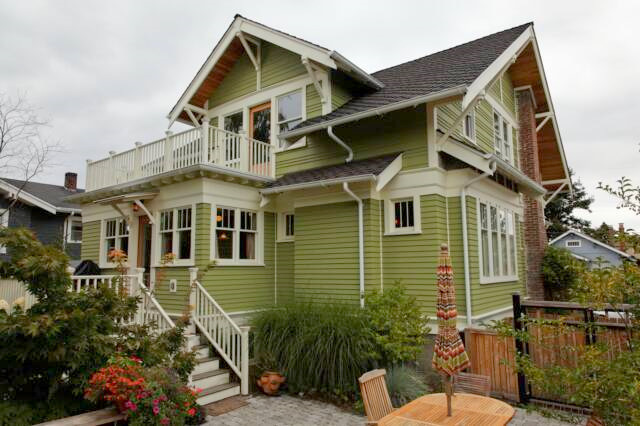 This lucky 1913 Craftsman house has been carefully restored and improved by its owners over many years, one project at a time. 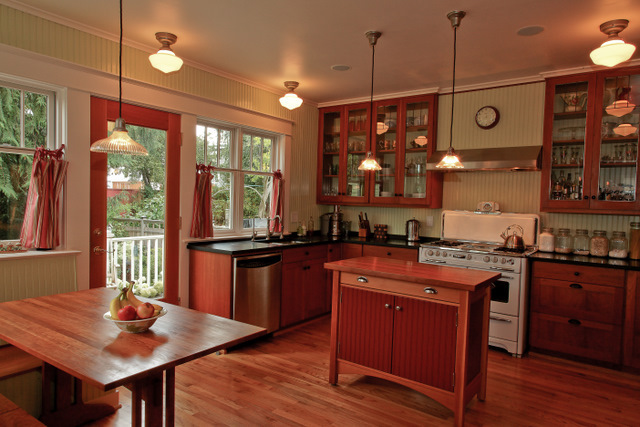 Original features that had been lost were restored or designed anew to fit the period. 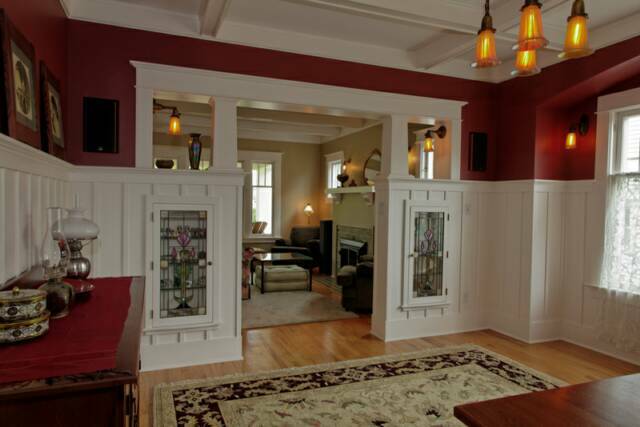 Work included restoring living and dining rooms, baths, building a new master suite, kitchen addition, restoring eaves and porches. 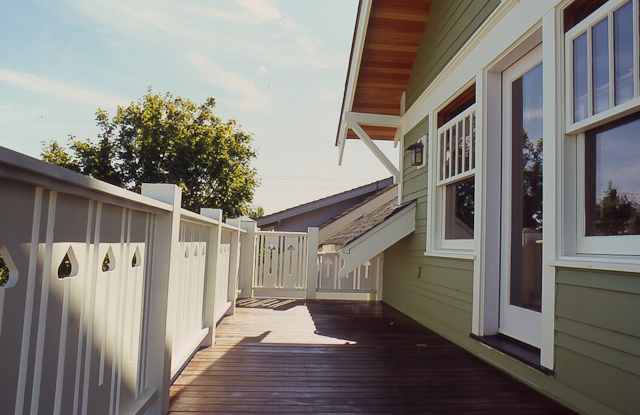 In the process owners have created a home that is a perfect fit.